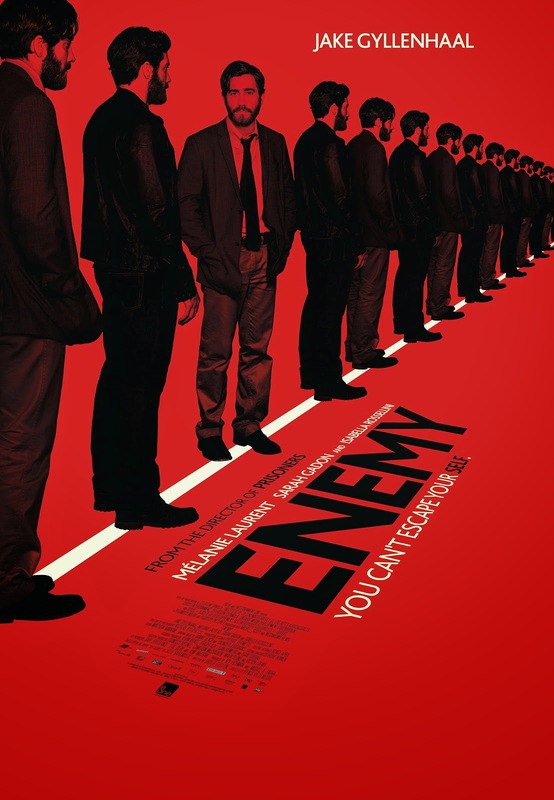 Based on the novel 'The Double' by Jose Saramago, not to be confused with the other movie 'The Double' starring Jesse Eisenberg, 'Enemy' is one of the most underlooked movies in the past year, partly due to the lack of promotion and the sporadic release dates (premiered in Sep 2013, but only just made its way to UK screens). History teacher Adam Bell (Jake Gyllenhaal) lives a mundane life, teaching about the cyclical nature of dictatorship and oppression. When a fellow teacher recommends him a movie to watch to cheer him up, Adam discovers an actor called Anthony Claire (also Gyllenhaal) within that looks exactly like him and is determined to find out who it is and the life that they live. 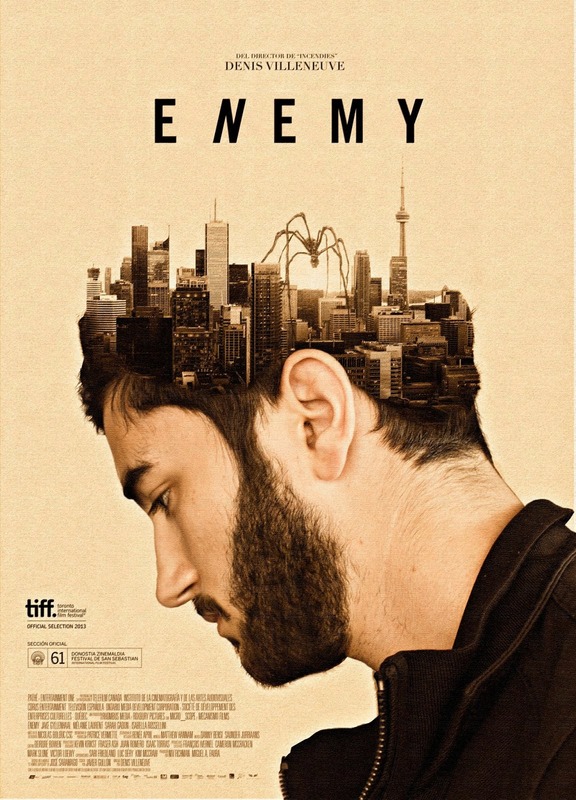 Bathed in yellow hues throughout, director Denis Villeneuve (Prisoners) turns Toronto, Canada into what could be Berlin under Hitler rule. Purposefully shot, every scene reveals something as a clue to the characters' psyche, from the mesh of tram wires to the graffiti on the wall. The bleak and stark landscape mirrors the totalitarian rule that the main character struggles with. The parallels of living under such regime as an external force and the idea of human nature creating this dictatorship within is subtly expressed through Adam's lectures as he teaches as well as his surreal visions. Tragically, Adam doesn't seem to realise the effects of his own suppression and the repercussions in his relationships. 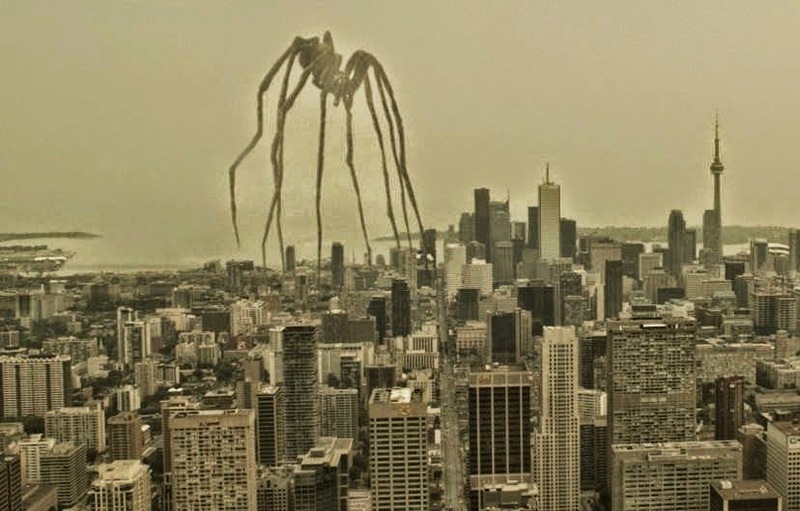 The clever use of spiders within the movie and the image of webs to symbolise control, fear and perhaps the female relationships is extremely powerful, both thematically and artistically. As the movie reaches its climax, these visuals are heightened and the much talked about final frames of the film reveal so much in just a few seconds of what the movie is all about. On my first watch, the film definitely left me confused and slightly baffled. The haunting images, graphic yet surreal, were left without meaning and I had to say I was deeply disappointed. Until I read the interpretations of other moviegoers and the explanations they unearthed. My viewed changed completely. Without giving too much away, the film is a clever exploration of the Human subconscious, fear and relationships. As the movie doesn't explicitly say what is real and what isn't real, it is up to interpretation, but the success in the post-film conversations is that there seemingly isn't a right or wrong answer. Also stars Melanie Laurent, Sarah Gadon and Isabella Rosellini. 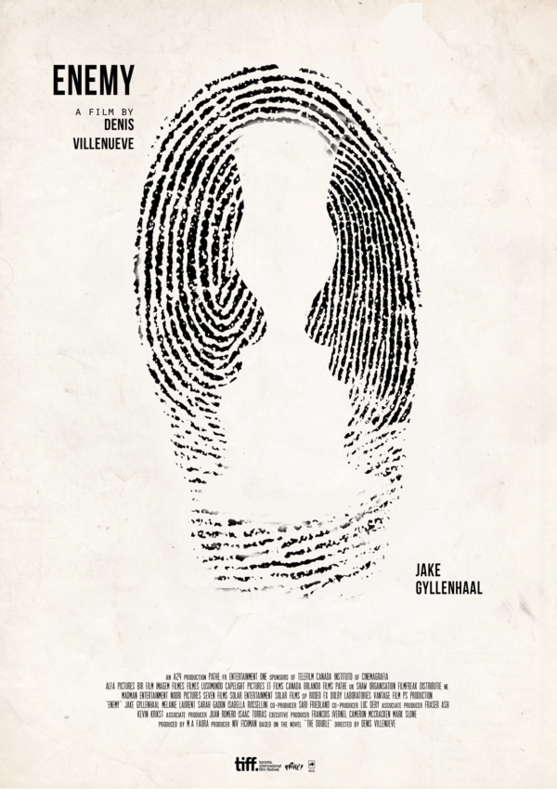 Jake Gyllenhaal shines in his double performance as Anthony/Adam and manages to portray both characters with individuality, leading the strong support cast. With his recent string of dark roles, 'Prisoners' and more recently 'Nightcrawler', it's a surprise the star did not get acknowledged by the Academy for any of these roles. Definitely snubbed. 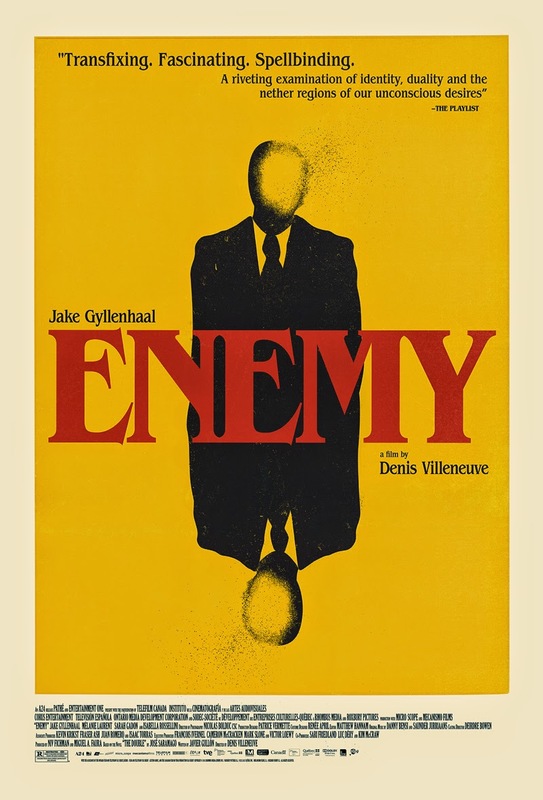 'Enemy' is a beautifully crafted and almost flawless exploration of the subconscious as expressed through the character of Adam/Anthony, portrayed effortlessly by Jake Gyllenhaal. 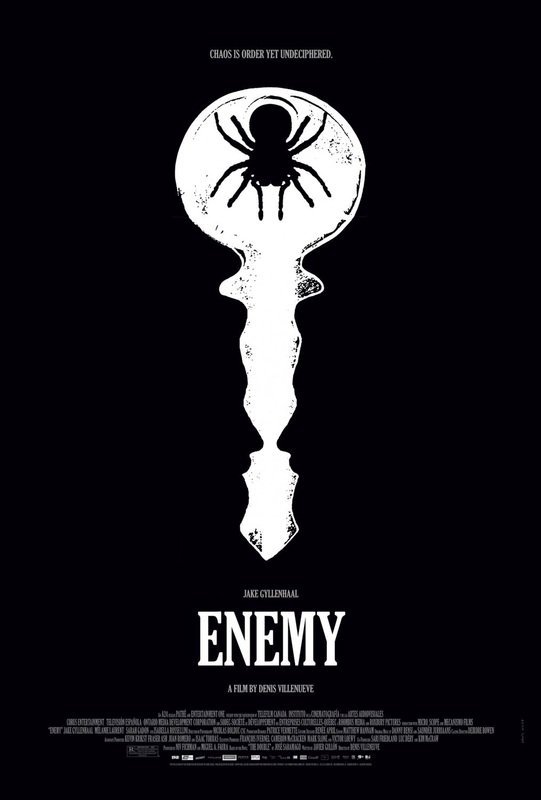 Revealed through consistent visuals and strong symbols, the cinematography is mesmerising and graphic, elevating the intensity of the story from beginning to end.